THE Isle of Wight fell silent as the dead of both world wars and conflicts across the world since were honoured yesterday (Sunday). With excellent autumnal weather, attendances at services in the Island’s towns and villages were good as thousands of residents paid their respects to the fallen. There were also large gatherings in Sandown, Shanklin, Ryde, Cowes and Ventnor. 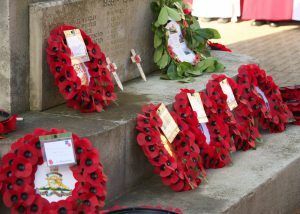 Wreaths and poppy crosses were laid at memorials across the Island by families and organisations, which included the Isle of Wight Council, town and parish councils, the Royal British Legion, ex-services groups, emergency services and cadets.